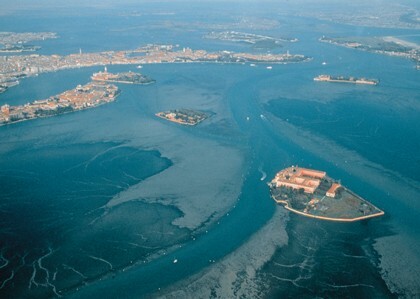 This excursion on the northern lagoon features a tour of its most famous islands: a relaxing itinerary, away from the bustle of the city to savour the natural beauty of the marsh and lagoon that sustained the founding communities of Venice. Murano is the island famous for its glassworks, an age-old activity that has kept its traditions intact to this day. Here you can admire the master glassblowers at work and witness the magic of glass production. 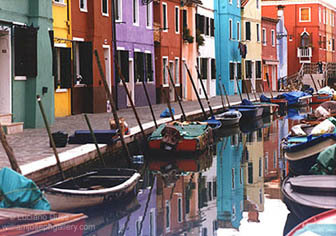 Further north is the picturesque island of Burano with its brightly coloured houses and famous lace. And finally we reach the nearby Torcello, where time seems to have stood still. Today the island is virtually uninhabited (with fewer than 30 residents). 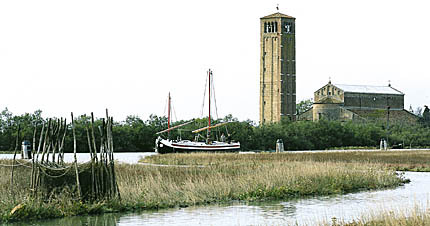 Immersed in rich lagoon vegetation, the island is home to the oldest monument of the lagoon: the majestic Basilica of Santa Maria Assunta, founded in 639 and rebuilt in 1008. Inside you can see the ancient Last Judgment Mosaic, which is truly one of a kind.